Ireland’s South West Escape – The Great Canadian Travel Co. Explore everything from the Atlantic coast, castles and ancient monasteries. Escape to the South West coast and delve into the mystery of the ancient curse and venture a kiss on the Blarney Stone! Prices are shown in US$ per person based on two people sharing a twin room and one person in a single room. Prices are approximate US$ equivalent of the Euro rate and will vary depending on currency conversion of the Euro at the time of payment of your deposit and re-calculated at the time of final payment. CA$ rates are also available on request. You may choose to lock in the US$ or CA$ rate by paying in full when you make your reservation. You start your journey from Dublin, heading west through the County Kildare and Offaly. Your first stop is Locke’s Distillery, the oldest licensed distillery in all of Ireland. You will have time to relax and taste a glass of their whiskey before continuing on your journey. You are headed to the banks of the River Shannon and the ruins of the abbey at Clonmacnoise. With its collection of old stone crosses, ancient churches and round towers, you will be awe-struck and gain a little insight into Ireland’s spiritual past. 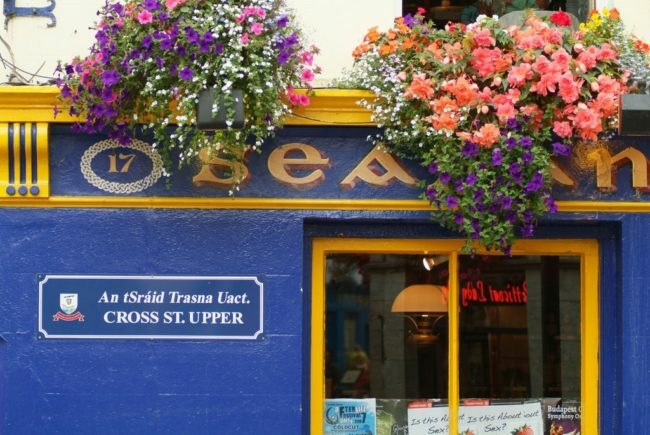 For lunch, you will dine in a traditional Irish pub in one of the area’s quaint villages before you head to Galway City, where you will spend your first night. You will have a chance to explore this lively city and taste some of the local fares at one of the many restaurants or bars. After a good night’s rest and a hearty breakfast, your day begins with a short drive along the coast to The Burren. You will have some time to explore the limestone pavements, see the rare flora and the Petrifying Springs. After you are finished exploring some of the beautiful formations in the National Park, you will head to Kilfenora, or the ‘town of the crosses’. You will have a chance to visit the town’s amazing ancient cathedral before stopping for a bite to eat. After lunch, you will head to the Cliffs of Moher. Watch the seabirds soar with the thermals and explore the award winning environmental exhibition along the trail. The 700 ft. drop to the crashing waves of the Atlantic Ocean is impressive. Your journey then moves through County Clare, passed the perfectly manicured grounds of its famous golf course on the way to the beautiful beach at Lahinch. It is here that you will board a ferry and cross the Shannon Estuary to the lakeside town of Killarney, your home base for the next three nights. 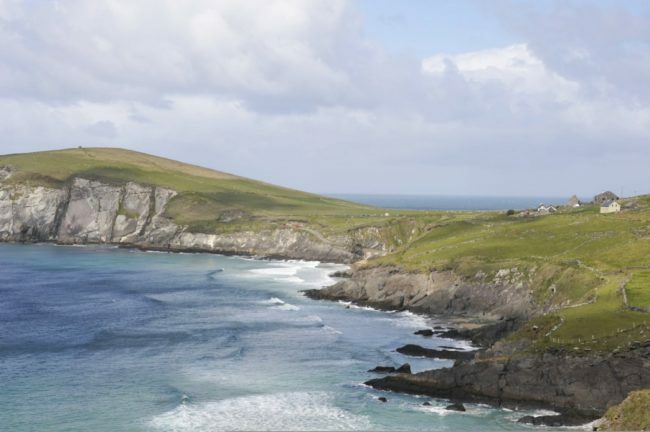 Today, your journey allows you to explore the Dingle Peninsula, with the first stop being Inch Beach. Take a walk along the vast expanse of sand that stretches out into the Atlantic Ocean. 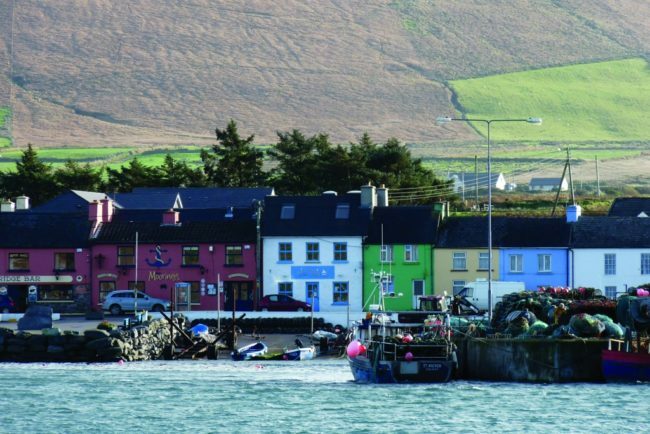 Heading away from the beach, along winding roads, will lead you to the town of Dingle. Take a quick look, because your journey returns back to this colourful, quaint town. For now, however, you continue on towards Slea Head, a place with ancient forts ad prehistoric lodgings. Make sure to have your camera ready, as the panoramic views of the Blasket Islands, makes this a place to remember. If the sun is shining, take a walk along the beaches and along the cliff top to get the full picture. Once your camera is full, you will be heading back towards Dingle, where you will be spending the remainder of the afternoon, exploring the town and tasting the local delicacies. In the evening, you will head back to Killarney and still have time to wander around in the National Park that surrounds the town. After a hearty breakfast, you will be able to explore some of Ireland’s beautiful scenery. First stop is Ireland’s highest mountain, Carrauntoohil, where you will have time to take some pictures of its impressiveness. Continuing on, you will travel along the coastal road, following it through coastal towns, stopping at Portmagee for lunch. You may want to just have a quick snack and then venture onto the island of Valentia for a visit to the Skellig Experience, an excursion that will teach you about the ancient community of monks who made the outcrop of rocky islands their home. In the afternoon, you will visit Charlie Chaplin’s home away from home at Waterville and gaze out at the amazing views on top of Coonmakista pass. Travelling down, you will head to Derrynane House and the breathtaking beauty of the surrounding gardens. From here, you will continue along the Ring, you will stop at Moll’s Gap and the Ladies View. The Moll’s Gap is an area made up of rocks formed of old red sandstone. Take a short walk to the Torc Waterfall and hear the stories of the ancient curse that created the waterfall before heading back to Killarney for the evening. 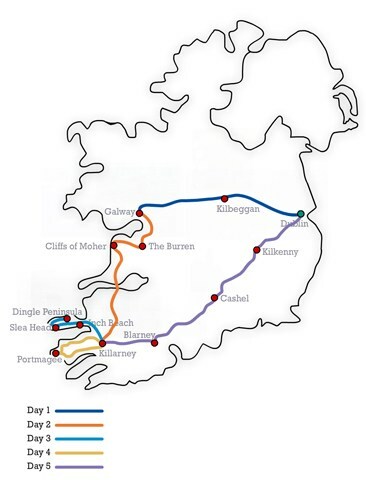 On your last day of this tour, you will head back east through the mountains of West Cork and the Lee Valley until you reach Blarney Castle. 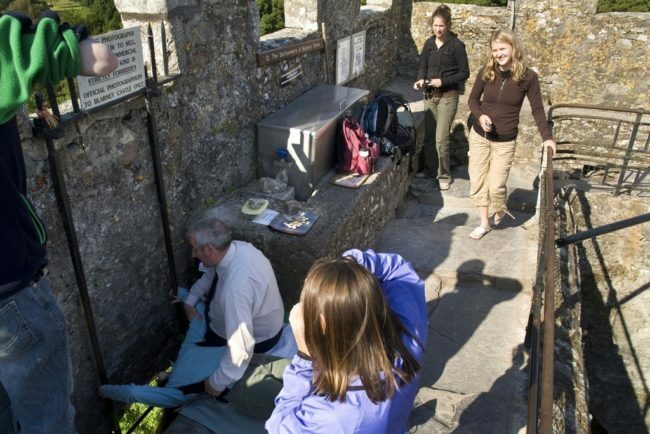 Wander around the castle grounds and kiss the Blarney Stone. In the afternoon, you will journey to the town of Cahir and gaze upon the island castle in the River Suir before heading to Kilkenny. This busy city, with a towering castle, has riverside walks and a last chance to try Guinness before heading back on the road to Dublin. We can arrange for accommodation in Dublin before and after this tour, to allow you time to explore this lively and historic city. Accommodation ranges from hostels, B&B/guesthouses, all categories of hotels up to castle stays. Please inquire. 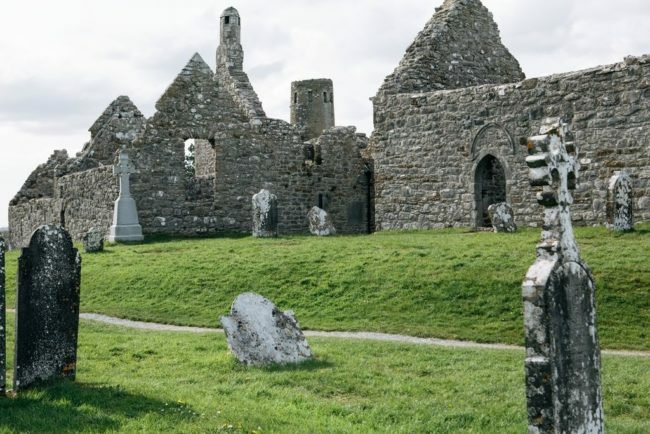 Clonmacnoise – Scholars from all around Europe used to visit this hugely influential abbey. Galway Town – Stone clad buildings line the winding lanes and medieval walls of this ancient harbour city. 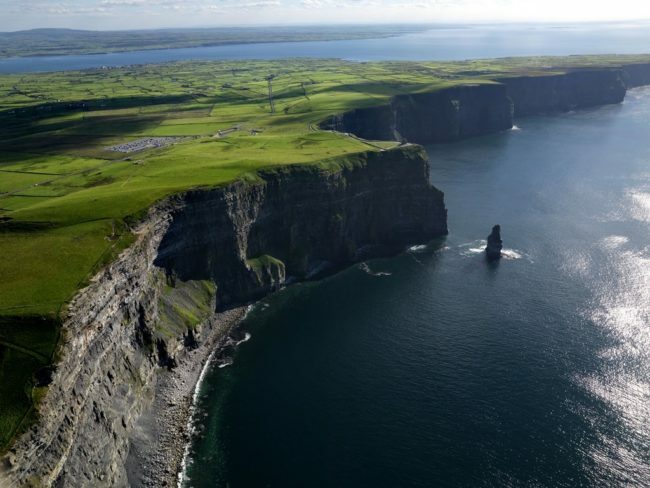 Cliffs of Moher – Behold an awe-inspiring 700ft drop into the crashing waves of the Atlantic Ocean. 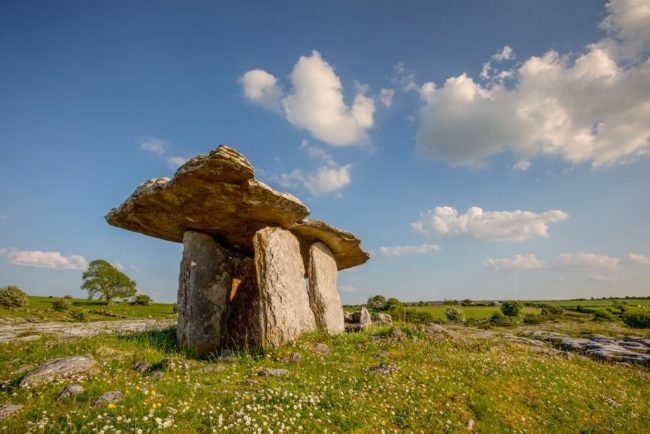 The Burren – This national park is home to some of Ireland’s most profound spiritual and natural culture. Dingle Peninsula – Glorious beaches merge with traditional Irish scenery in this land of Gaelic mystery and towering forts. 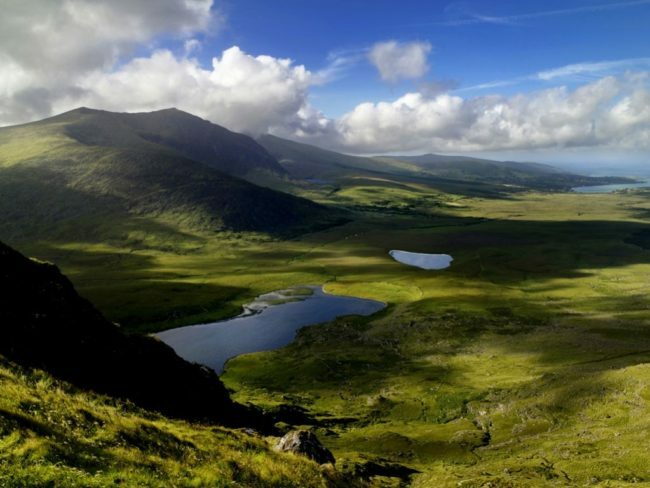 Ring of Kerry – Ireland’s famous coastal route boasts some of the wildest views in Europe. Torc Waterfall – Learn about the ancient curse that formed this waterfall and admire its impressive cascade. Blarney Castle – Kiss the famed Blarney Stone amidst the walls of this gorgeous medieval stronghold. Kilkenny – Survey the dominant and unmistakeable three walled castle whilst roaming its splendid grounds. These small group tours are a bit more casual than many of the large-coach tours and offer you the opportunity to have some free time in the evenings to go out for dinner to a cafe or restaurant of your choosing on your own, buy some food at a supermarket or take-out and eat at your accommodation or hang out with other people from your tour. The choice is yours!